To avoid damage to your transaxle, do not accelerate the engine in R (Reverse) or any forward gear position with the brakes on. The transaxle may be damaged if you shift into P (Park) while the vehicle is in motion. Push the lever forward once to shift up one gear. Pull the lever backwards once to shift down one gear. 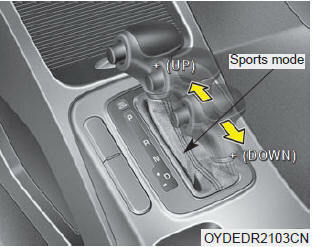 In sports mode, when the engine rpm approaches the red zone shift points are varied to up shift automatically. The paddle shifter can operate when the vehicle speed is more than 6.2 mph. 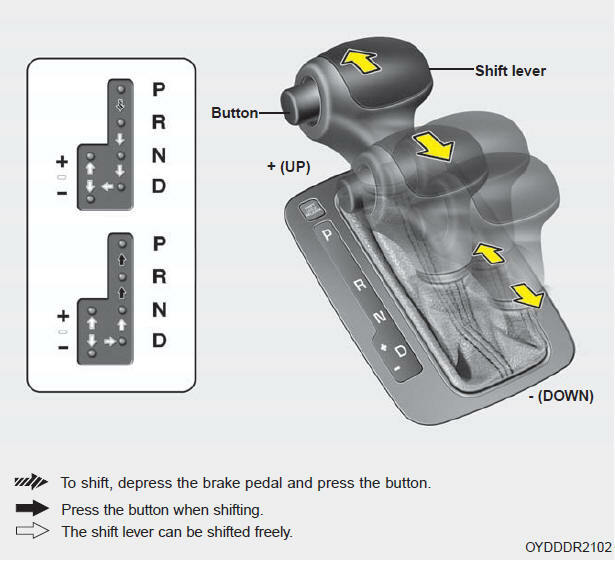 If the vehicle speed is lower than 6.2 mph, if you depress the accelerator pedal for more than 7 seconds or if you shift the shift lever from D to sports mode and shift it from sports mode to D again, the system change from manual mode to automatic mode. 1.Depress and hold the brake pedal. 2.Start the engine or turn the ignition switch to the ON position. 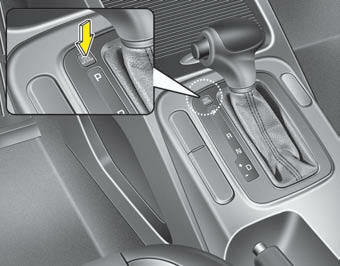 1.Carefully remove the cap covering the shift-lock access hole (1). 2.Insert a key (or screwdriver) into the access hole and press down on the key (or screwdriver). 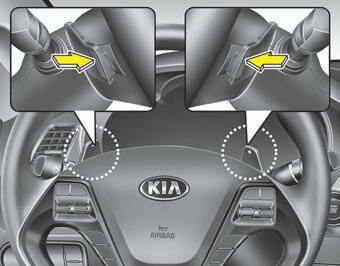 4.Have your vehicle inspected by an authorized Kia dealer immediately.